Whit’s Electric LLC is your premier source for commercial electrical services. With more than a decade of experience servicing businesses throughout the region, we offer the knowledge, skill and expertise to keep your operations running smoothly. 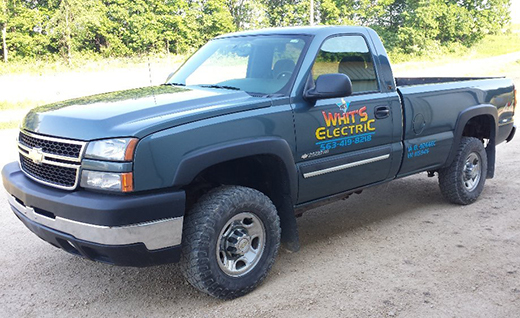 Whit’s Electric LLC has been providing quality electrical work across Iowa since 2005. We offer a full range of services, including rewiring, lighting sales and installation, generator sales and repair, underground wire setting for new construction, service upgrades and electrical pole setting, among others. Our extensive experience and detailed methods ensure we get the job done right, the first time. As the go-to commercial electrician in Allamakee County, IA, we are known for our reliability, integrity and quality work. Our consistent delivery of superior service has resulted in a long list of satisfied customers throughout the years. Whit’s Electric LLC specializes in commercial electrical services for your business. We also offer electrical services for industrial and agricultural settings. 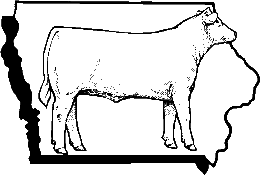 Our specialties include dairy farms, RV parks and grain equipment. No job is too big or too small for our electrical contractors in Allamakee County, IA. Each of our highly trained technicians is fully licensed and insured. We’ve also maintained an A-plus rating with the Better Business Bureau (BBB), to offer a solid reputation you can trust. Contact us today to get started on your next commercial electrical project. Schedule an appointment for service, or contact our 24-hour emergency services any time for fast, efficient repairs. We specialize in commercial, industrial and agricultural electrical services. Our business is locally-owned and -operated, established in 2005. We are proud members of the Better Business Bureau (BBB) and the Cattlemen’s Association. We are a fully licensed and insured business. We are proud to be authorized dealers for J&D Manufacturing! For reliable commercial electrical services that keep your facilities running optimally, contact the experienced technicians at Whit’s Electric LLC.